"Thank you, I pray that I can be the one out of the crowd you reached." "It's insane that the people who caused this continue to do what they did. It's an eye opener." "Attention getter, powerful brain food, glad I attended"
" The cost of a life is so much compared to that of a cab or a phone call." "It's a crime for a reason." "A lot of folks don't get it - tipsy is drunk." "The sheer number of people affected by each incident is mind-boggling ." "Time stood still. I did not really think how terrible DUI's are." "He told Johnson he has a right to drink himself to death, but no right to drink someone else to death""-Wy. District Judge Steven on a Felony DUI Sentence for Johnson"
"This is the best, most powerful presentation I've ever been to. Your speakers were talented presenters who effectively presented their stories." "I have a relative who has 6 DUI's and still has their license and is still driving drunk." 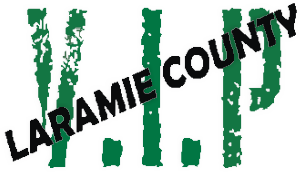 © Copyright 2014 Laramie County D.U.I. Victim Impact Panel.